Can pictures tell real-life stories better than words? “Are journalistic comics credible?" she asked. “And are they true to facts?" Which means—like it usually does when someone uses that term, depends— the answer is no. There’s nothing dishonest about it. 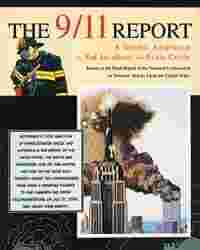 These books—including Joe Sacco’s Palestine, Fixer, et cetera, or Sid Jacobson and Ernie Colón’s graphic novel interpretation of The 9/11 report (based on the final report of the National Commission on Terrorist Attacks Upon the United States)—are largely true, which means they roughly sum up what happened. However, it is almost impossible to be factual about everything—what colour was the shirt the person was wearing? Was he digging his nose? Was everything else in the frame of the illustration exactly the way the writer shows it (this is particularly pertinent while discussing Sacco, who is given to some panoramic representations)? And did the subject(s) speak the exact same words used by the writer? Finally, and most important, it is almost impossible to take the graphic novel or comics route and not be dramatic. This comes across very clearly in Jacobson and Colón’s book. It is based on a report, but it isn’t boring. Instead, it is a dramatic retelling of 9/11, and one that sometimes treads the thin line separating fact from embellished fact (or fiction). The best thing about these non-fiction graphic novels, some of which just happen to be journalistic, is the simple (but never simplistic) way in which they tackle tough issues or write about strange things/places/events. Guy Delisle’s Pyongyang: A Journey in North Korea is as personal and insightful a look at North Korea as anyone can hope to get. And, it is a graphic novel by an animator who was asked to go to North Korea to work on a project. Delisle’s second attempt at a similar book, one on Shenzen, isn’t as gripping, maybe because more people know more about China than about North Korea. Still, pictures do tell it better than words, and they are almost never sententious. One of the key features of good journalism is the ability to communicate without letting words (or language) get in the way. From that perspective, these non-fiction graphic novels are right up there.